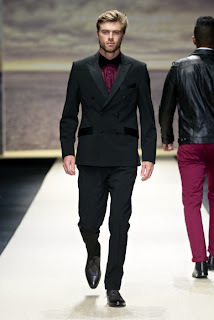 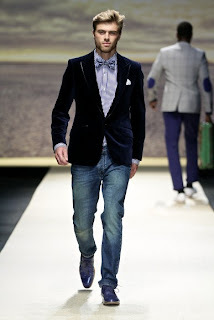 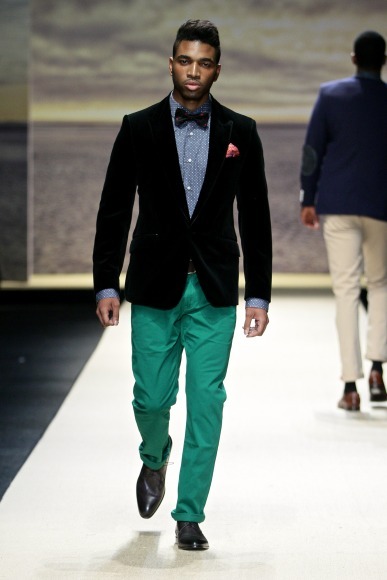 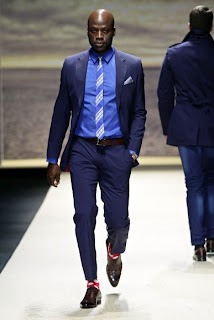 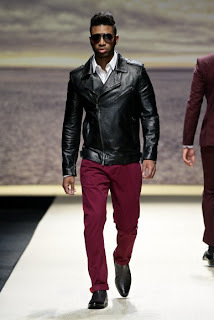 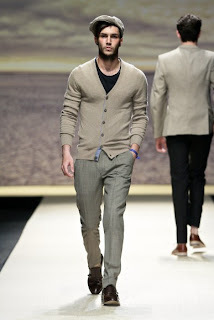 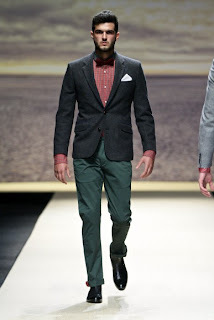 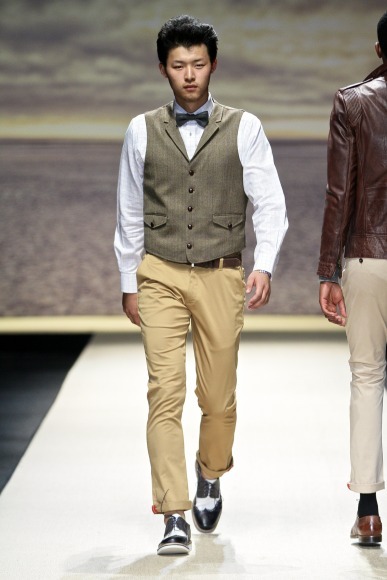 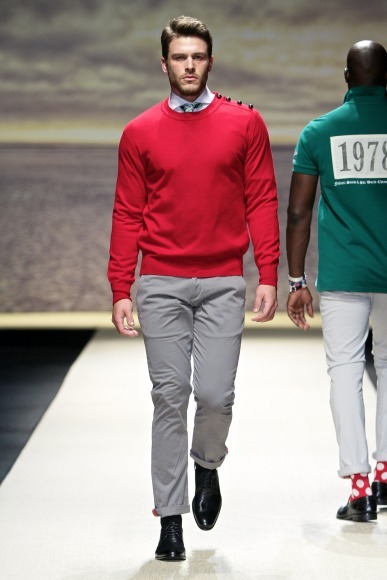 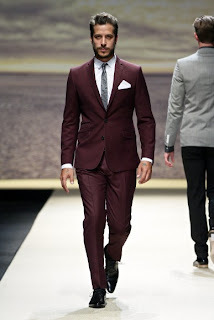 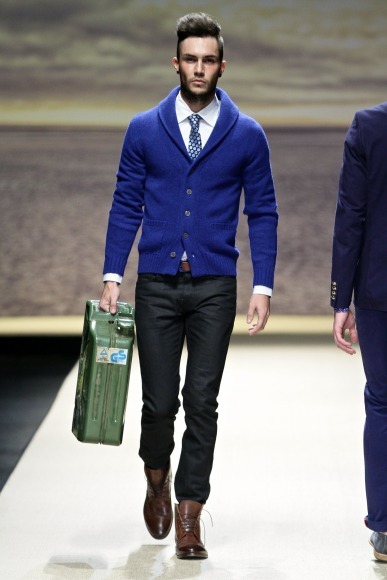 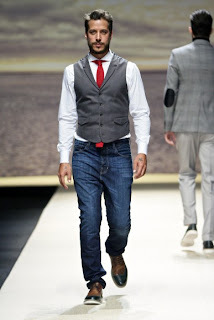 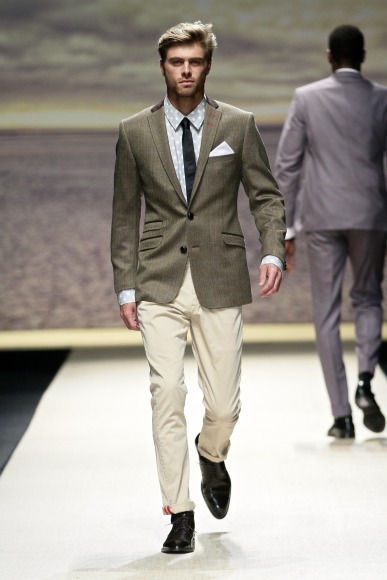 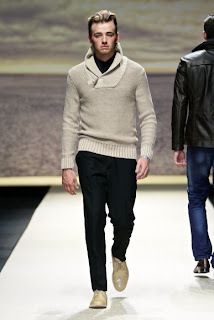 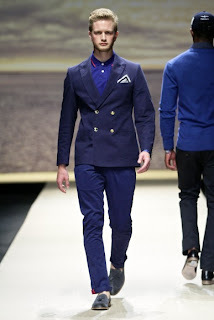 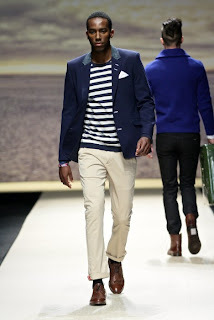 Swag Craze: Fabiani’s MBFW 2013 collection: Perfection! There's always so much to get excited about with any Fabiani collection. 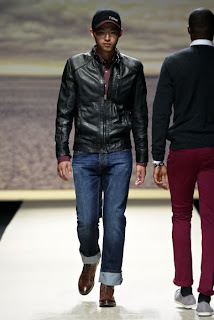 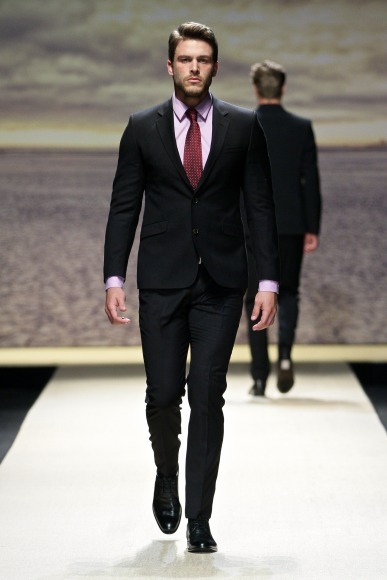 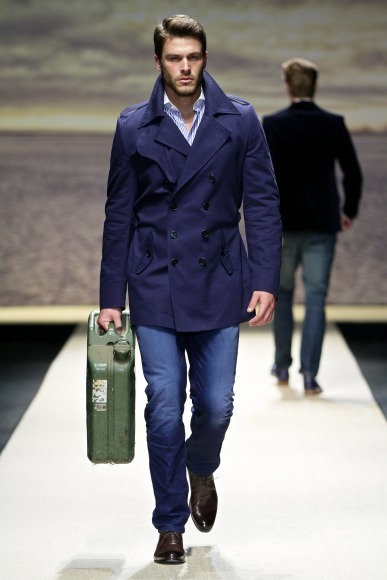 The old saying ‘save the best for last’ is true with Fabiani closing MBJFW 2013 with his autumn/winter collection. 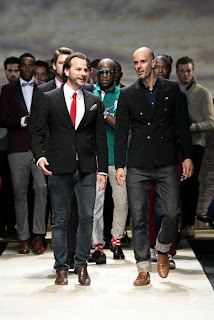 I had a front row seat and was incredibly happy and honoured to have attended the Fabiani show. Fabiani has perfected the art of creating a safe, stylish and clean menswear collection. 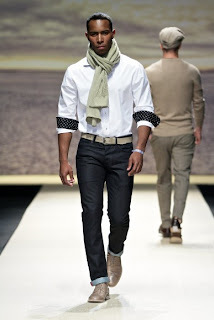 The collection included both casual and formal looks. 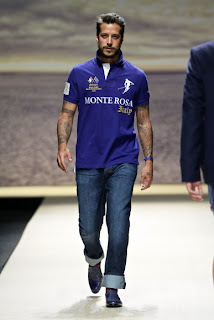 The collection encapsulated what the brand stands for which are exceptional quality, unique Italian style, distinctive detailing and bold colours. 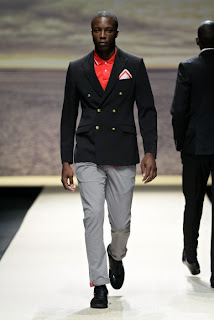 The collection was loaded with attitude and full of tailored clothing which included suits, chinos, jeans, t-shirts, jerseys, jackets and blazers. The palette pops in blue, green, maroon, brown and black. 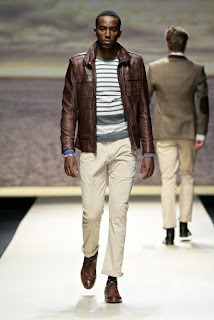 The styling of the collection was impeccable. I loved the happy socks/pop socks which the models wore as well the pocket squares! 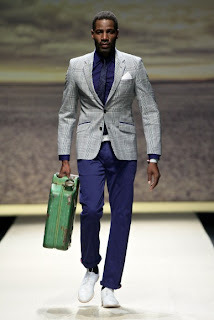 This was the best collection I have seen this entire fashion week! 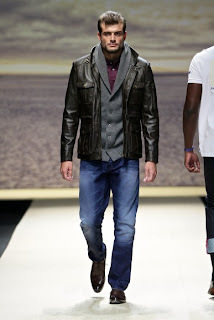 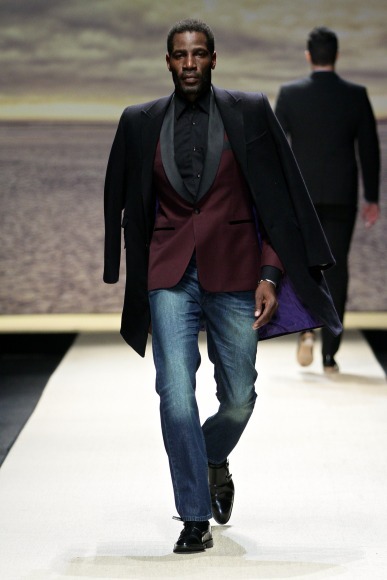 Visit www.fabiani.co.za for more pictures on the autumn/winter 2013 collection.